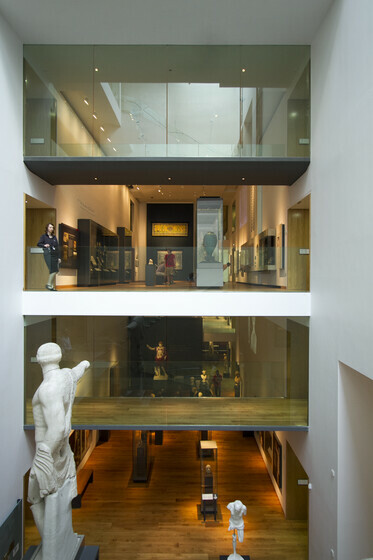 The Ashmolean is Oxford’s pre-eminent museum and the oldest in England. 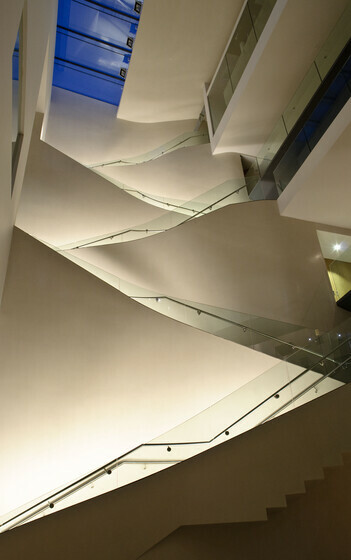 It suffered from a number of serious environmental shortcomings in its extensive gallery spaces. 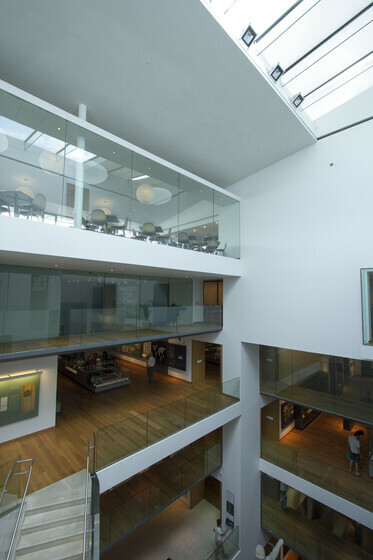 The renovation and extension of the museum provided an opportunity to introduce measures to control temperature and humidity, which in many areas relied on natural ventilation, despite the poor air quality found in the urban environment of Oxford. 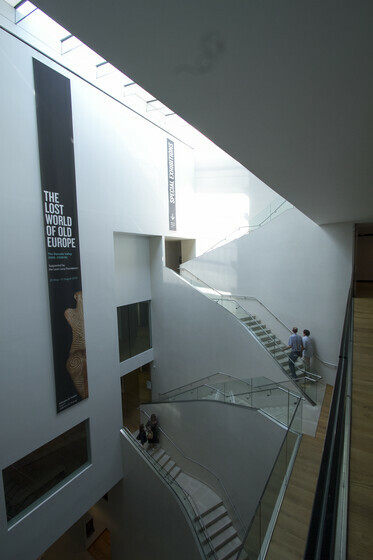 The extension and renovation of the museum doubles the overall floor area and increases gallery space by 50%. 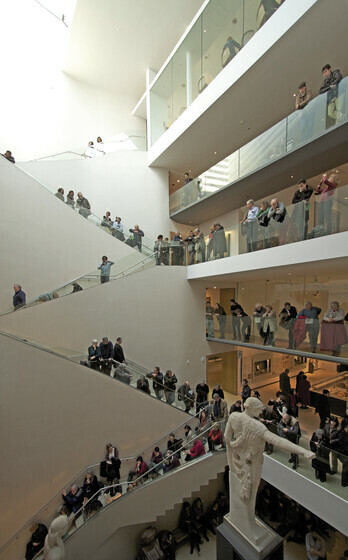 The impact is two-fold: it allows a larger part of the museum’s collection to be on display and improves the back-of-house facilities including conservation workshops and the provision of improved archive space. The height of the new extension was strictly governed by the height of the existing listed buildings which surround it. 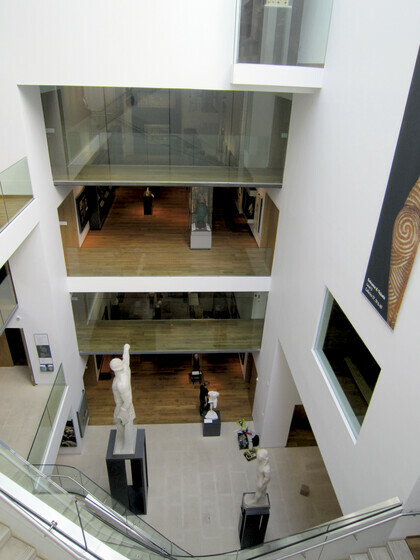 In order to maximise floor to ceiling height in the galleries, a solution was devised which pulled the services away from the ceilings and into the walls, a design that became known as ‘fat-walls’. Ventilation to the galleries is provided from top floor plant rooms with supply and extract ducts dropping vertically down the fat walls. The renovation also included the complete replacement of electrical, security and telecommunications systems.